Come learn the basics of preparing for cold weather environments, whether you are day hiking or camping out, these tips are sure to warm you up. Is not owning a mountain bike keeping you from trying it? If so, then come out to MoMBA and borrow one of our bikes to ride, free, for a lap or two. Bikes are available on a first-come, first-served basis. Toddler to adult sizes available. Youth younger than 18 must be accompanied by a guardian. Helmets are mandatory and proivided with bike. 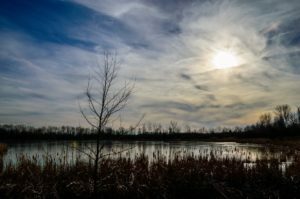 Hike Your Way Through Every Dayton MetroPark! The goal of the Dayton Hikers is to bring together those people who enjoy hiking and backpacking hiking. The Dayton area has hundreds of miles of hiking trails. With our Five Rivers MetroPark system, State parks and community parks, there are many nearby opportunities for day hikes. A hiker can easily find an enjoyable hike whether it is a shorter, easy hike or a longer, more challenging hike. Dayton Hikers welcomes newcomers to join whether you are a beginner or an experienced outdoors person. Their groups meets for both day hikes and overnight backpacking trips. Every Tuesday the Hikers Meetup Group, which has a membership of nearly 2000, has a hike scheduled and you can find out more by joining the group. The day hikes are primarily in the Dayton area and their backpacking trips are to areas within a few hours drive. Most members are from the Dayton, Ohio area but anyone is welcome to join! Five Rivers MetroParks will celebrate with the City of Dayton, the Buckeye Trail Association and the North Country Trail Association the official designation of Dayton as “Trail Town”. The event will take place Friday, October 25, at 11:00am at Deeds Point MetroPark. The event is free and open to the public. The North Country National Scenic Trail and the state-wide Buckeye Trail have partnered to improve access, strengthen interest in outdoor activities, and boost economic benefits by providing recognition to local businesses. Together, they strive to build a community that values outdoor recreation for the health of the environment, the people, and the economy. “Trail Towns” are built on a relationship between a municipality, the Trail, and its supportive volunteers. 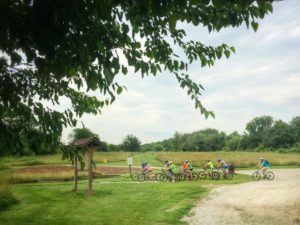 For Dayton, the partnership will help to establish and nurture relationships that are mutually beneficial for trail users and the public-at-large within the City of Dayton and the surrounding area. The Buckeye and North Country National Scenic Trails are co-aligned through the Dayton area, following the Mad River and Great Miami Recreation Trails. The trails are marked by 2×6 inch blue blazes along the route. The North Country Trail is the longest of the 11 National Scenic Trails and stretches 4,600 miles from North Dakota to New York and follows much of the Buckeye Trail as it wraps through Ohio. Crossing seven northern states, the trail is not only a national asset, but it is accessible from many communities making it a valuable local recreational resource. The Buckeye Trail is a 1,400 mile trail circumnavigating the state travelling through 48 counties. Volunteers of the Miami Rivers Chapter of the Buckeye Trail Association help maintain sections of these trails in the Dayton area, working closely with land managers from Five Rivers MetroParks and Miami Conservancy District. Working together to provide this premier off-road walking path is a partnership of trail volunteers, land managing agencies, the National Park Service, private foundations, civic organizations and businesses. 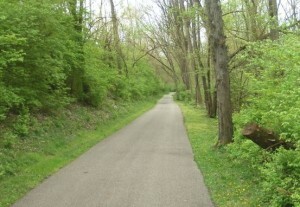 For more information about hiking trails throughout Montgomery County, visit MetroParks.org. Take A Hike- Win A Car! 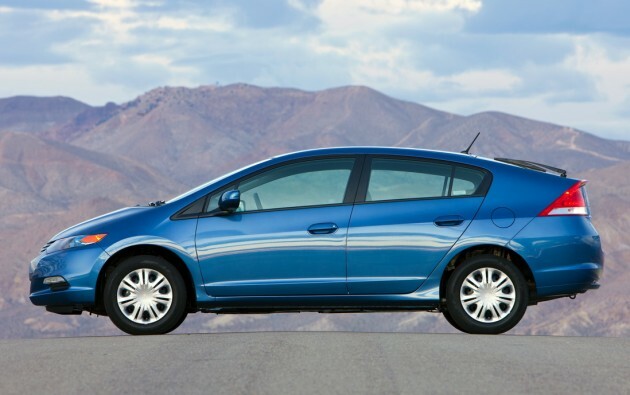 You could win this Honda Insight hybrid! 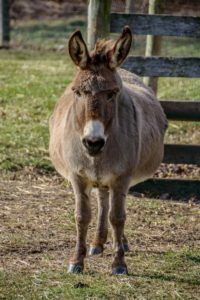 This summer, Five Rivers MetroParks has teamed up with The Nature Conservancy in Ohio and Honda of America Mfg. Inc. to help Ohio residents experience the outdoors in a new way with Natural Treasures of Ohio contest. Now through August 8, Ohioans can enter for a chance to win a 2012 Honda Insight hybrid at www.nature.org/naturaltreasuresohio or on Facebook at www.facebook.com/ohionatureconservancy. 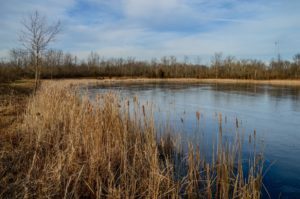 As part of the challenge, Ohio residents must visit one or more specially selected natural areas and upload a photo of themselves with that site’s designated landmark. Participants can locate nearby treasured areas and site-specific details online. 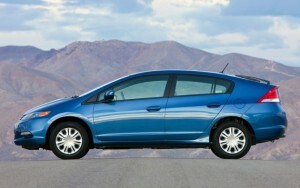 One grand prize winner will receive the 2012 Honda Insight hybrid and five second-place winners will receive $500 REI gift cards. To find the location, access the park from the entrance at 4361 National Road (U.S. Route 40) and park near the trailhead at Patty’s Shelter. From there, visitors can customize their hiking experience to find Martindale Falls. Taking the yellow trail north to the green trail will be the shortest hike, or visitors can make a longer hike using any of the connecting trail loops. Maps are available online or at the trailhead. Downloadable apps also will help visitors navigate Englewood and other MetroParks. While at Englewood MetroPark, visitors can partake in disc golf, picnicking, fishing, kayaking or canoeing, biking and horseback riding. Englewood also is the site of the new Venture Quest GPS game. Other Natural Treasures of Ohio southwest locations include Charleston Falls, Edge of Appalachia, Clifton Gorge, Mt. Airy Forest and Ault Park. 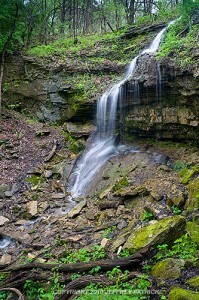 For more information visit www.metroparks.org or call (937) 275-PARK (7275) weekdays. 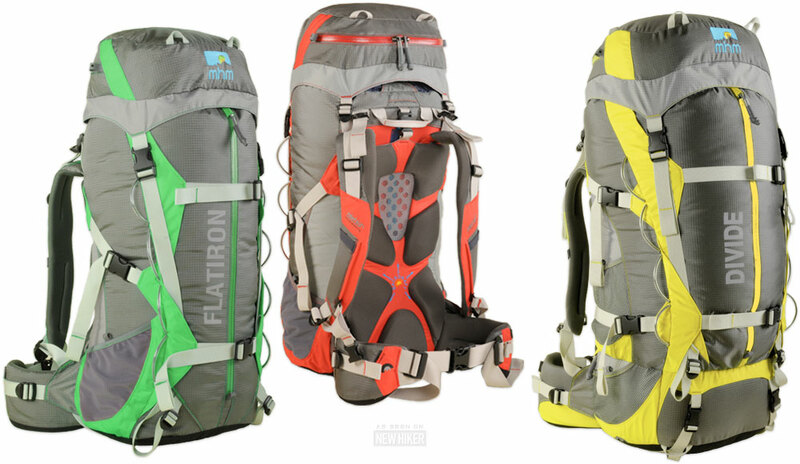 What in the blue blazes would prompt someone to endure backpacking in scorching temperatures and frequent deluges? Better ask local hiking enthusiast Andy Niekamp. You’ll have the opportunity to do so Wednesday, June 15, when he completes his hike of the entire Buckeye Trail, a 1,444-mile journey looping through Ohio. Andy Niekamp will complete his 1,444-mile hike of the Buckeye Trail on June 15 at Deeds Point MetroPark. Photo courtesy Andy Niekamp. Niekamp has been hiking since his Boy Scout days, tackling such terrain as the 7,400-mile Appalachian Trail, a continuous footpath that runs through fourteen states from Springer Mountain in Georgia to Katahdin in Maine. He has been awarded three “2,000 miler” certificates by the Appalachian Trail Conservancy, recognition conferred on hikers who have completed the entire trail. Last year alone, he logged nearly 1,600 miles of backpacking on 16 different trips in 15 states. Photo courtesy Andy Niekamp. Discover Ohio's past, present and future along the Buckeye Trail. Marked with “blue blazes” along the volunteer-maintained trail, the Buckeye Trail reaches all four corners of the state. It passes through several MetroParks (Eastwood, Deeds Point, Island, Taylorsville and Wegerzyn Gardens MetroParks), running with the North Country National Scenic Trail. You can learn more about this 4,600-mile trail stretching across seven states from North Dakota to New York at the annual conference that takes place right here in Dayton August 11-14! Photo curtesy Andy Niekamp. Encounter nature as you hike the Buckeye Trail! 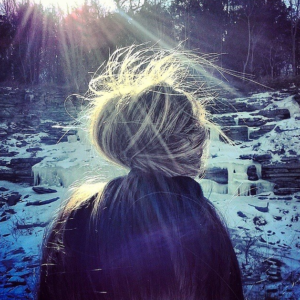 Getting inspired to get out and hike? Why not join a group of friendly folks who will keep you motivated? Niekamp is the founder and leader of the Dayton Hikers group, Dayton’s largest and most active hiking group. You’ll be in the company of about 500 members who take advantage of the group’s variety of day hike and backpacking trips. You can also get outside and enjoy the nearly 175 miles of trail available at any MetroPark. Why not check out an upcoming fitness and health program? It doesn’t matter what your skill level, intensity or frequency with which you hike, just as long as you get out and live! Greetings Daytonians! I’m Val Beerbower, a Jack-of-all-pens writer, novice cook, bad movie paramour and public relations specialist with Five Rivers MetroParks. I’ll admit, I wasn’t much of an “outdoorsy” person when I took up my marketing mantle in the summer of 2009, but since then , my journey with this park system has opened my eyes to a world of educational experiences, recreational opportunities and conservation principles that are waiting right in your own back yard. For those who have a little trepidation approaching nature and haven’t quite wrapped your head around tree hugging methods, fear not. 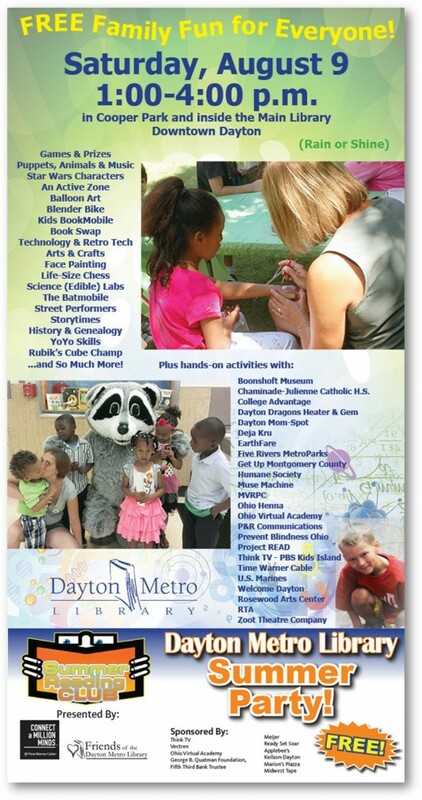 I shall be your guide to Dayton’s Wild Side, taking the baby steps right along with you. Together, we’ll divest ourselves of the remote or mouse and step outside into the glaring, glorious light of day. I promise it won’t hurt a bit. Let’s start with something easy – fall color. Who doesn’t like pretty trees? I learned that shedding leaves is a survival strategy for the trees. Broad leaves from deciduous trees, even though they collect a huge amount of sunlight for photosynthesis, do require more energy from the tree to maintain. Because Ohio winters are dark and dry, it’s easier for the tree to just shed the leaves and remain dormant until the warmer months return. Leaves change color for a variety of reasons. Some leaves are naturally yellow or orange, but the activity of photosynthesis (process plants use to turn sunlight into glucose) produces a green hue that overpowers any other color present in the leaf. When photosynthesis shuts down, the other colors shine through. In other instances, the glucose gets trapped inside the leaf and the hues you see are actually the sugars (maples are a vibrant example). The best seat in the house for nature's annual fashion show is reserved for you! Visit Twin Creek MetroPark and other natural parks while the display is still up. •	Stroller Strut: What Do Leaves Do? For hike ideas and places to spot fall’s radiant color (hurry! Limited quantities available while supplies last! ), visit metroparks.org/FallColor.